If you want to update the sound driver to fix computer no sound issues, you can use one of the methods below to update the sound driver. We’ve put together two methods here to update the sound drivers; just pick the easier one for you. All steps below apply to Windows 10, 8.1 & 7. Windows can provide new drivers through Device Manager. Device Manager is a Windows utility where you can manage the device and the drivers. In Device Manager, you can update the drivers, uninstall the drivers, disable the device, etc. So when you have sound driver issues, you can update the driver via Device Manager. Type devmgmt.msc in the run box and click the OK button to open Device Manager. 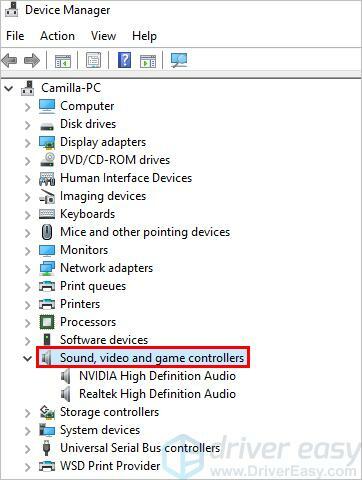 Expand the category Sound, video and game controllers. 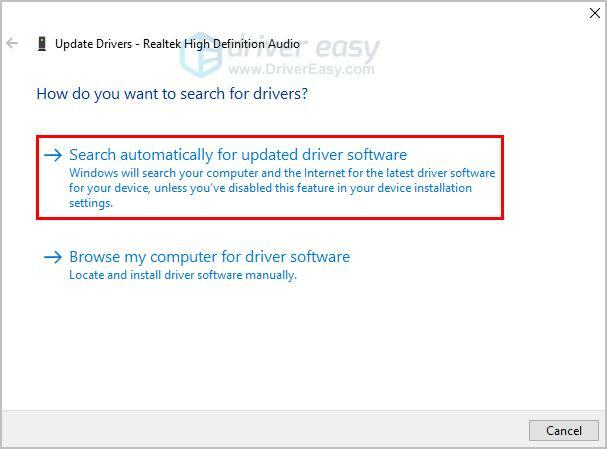 Right-click on the sound device and select Update Driver Software (in Windows 10, this could be Update driver). The common sound device is Realtek High Definition Audio. In the example below, we update the Realtek High Definition Audio driver. Then Windows will search for the new driver, then automatically install it. The process just takes a few seconds. 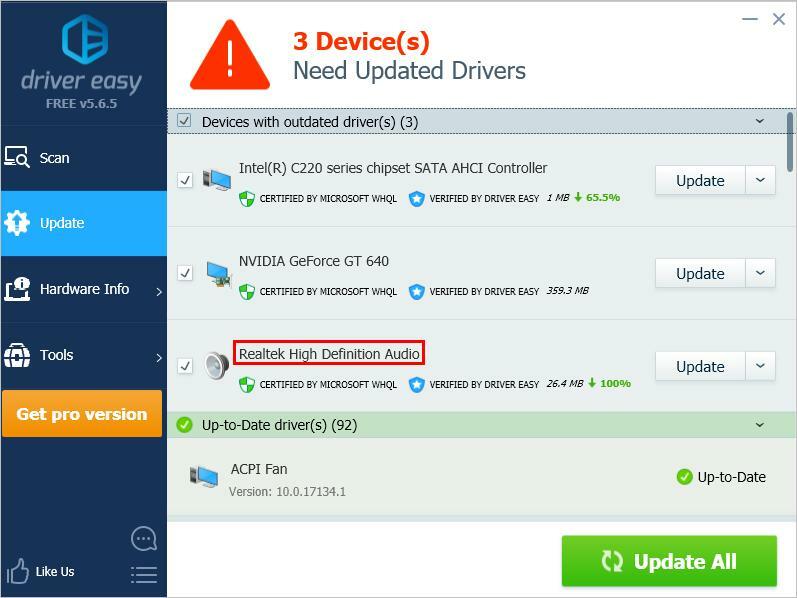 If you can’t update the sound driver successfully via Device Manager, or if you don’t have the time, patience or computer skills to update the driver manually, you can do it automatically with Driver Easy. Launch Driver Easy and click the Scan Now button. 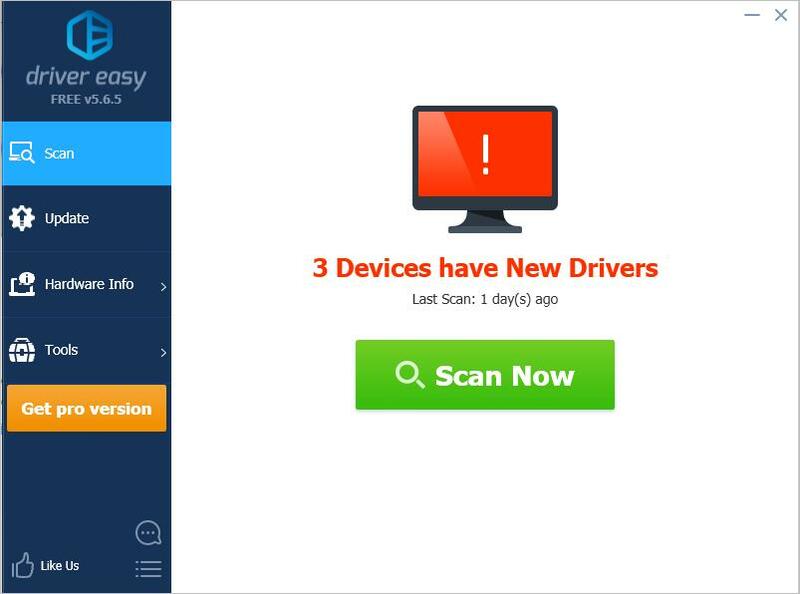 Driver Easy will detect all problem drivers instantly and provide you with new drivers. 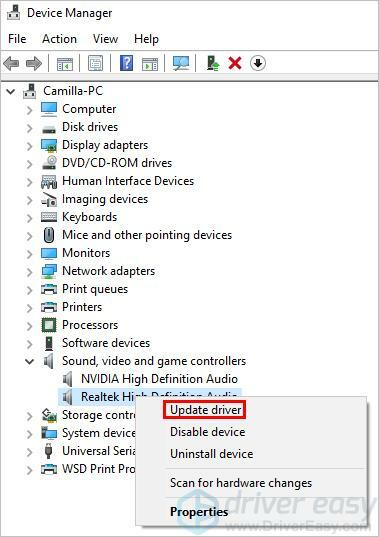 Click the Update button next to the audio driver (for example, the Realtek audio driver), then download and install the correct version of this driver. Or click the Update All button (if you go Pro) to download and install all drivers automatically. Hopefully you can download and update the sound drivers successfully with the tips above. If you have any questions or ideas, please feel free to leave your comment below.